Hoppecke UK's managing director Jon Bailey says: "Cost-effective and reliable rail transport is a must if we want to promote mobility as a catalyst for business development, employment and inward investment. Moreover the UK government is committed to phasing out diesel trains by 2040, to meet environmental targets, and a big question mark remains over the electrification of lines. Everyone agrees that everything will be electric. 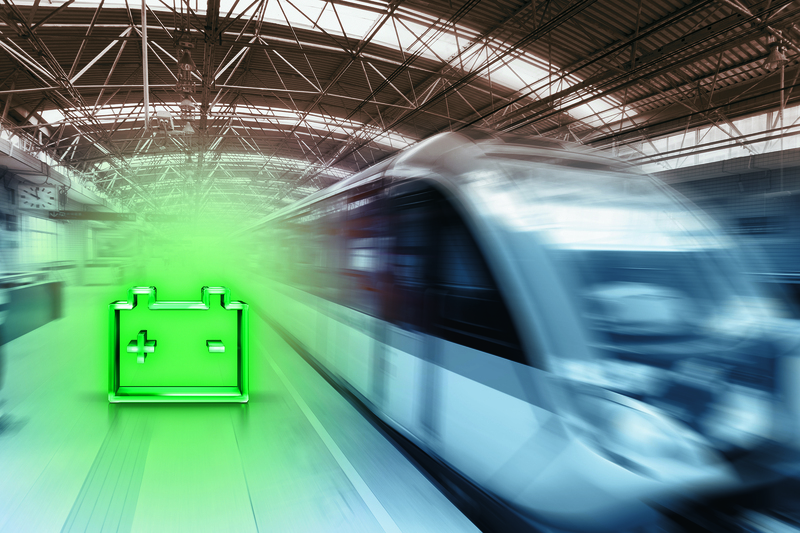 "As the UK sets about tackling these issues, there is an increasing demand for battery energy storage systems, whether on board trains or by the trackside. Thanks to our strong relationships with the major OEMs we're able to maximise our product offering and technical support capabilities to take advantage of opportunities in this sector." A world leader in the integration of battery systems for rail, Hoppecke continues to raise the bar - setting ever higher standards for product performance and reliability matched by unrivalled service support. Its energy solutions offer high levels of operational flexibility and maximum safety irrespective of the conditions, even during times of peak demand. Partnering with Vivarail, Hoppecke Industrial Batteries was instrumental in the launch of the UK's first battery-powered passenger train, designing and integrating batteries to power the Class 230 trains. Vivarail also utilises Hoppecke's ground-breaking Battery Energy Storage System (BESS), which stores electrical energy as part of its patented fast-charging system and, when the train comes into a station, pumps 1MW of energy in just eight minutes - providing sufficient power to recharge the train battery for a 65-mile range. Jon adds: "Our partnerships with forward-thinking businesses like Vivarail extend across the globe and reinforce how our latest generation lithium-ion products are ideally suited to providing the rapid charging required for battery-powered rail journeys both today and into the future." Caption: Exhibiting at Railtex 2019, Hoppecke will showcase its ability to drive innovation in battery technology for the rail sector. Hoppecke Industrial Batteries is the leading specialist for industrial battery systems and at the same time the largest battery manufacturer in European ownership. Hoppecke offers to its customers around the world concepts for efficient and reliable power supply for every industrial application. A leading exponent of environmental care for more than 90 years, Hoppecke offers solutions for a variety of industries including motive power, reserve power for IT/telecoms, power stations, solar energy and UPS, special power for rail and underground. Hoppecke's UK operation is based in Newcastle-Under-Lyme in the Midlands and the parent company has customers and business partners in many countries around the world, including Europe, the USA and China.